Home » Uncategorized » Why oh why?? and finally, we arranged the visit of the potential Guardian. The potential Guardian drove 2 1/2 hours in each direction to visit on Sunday. 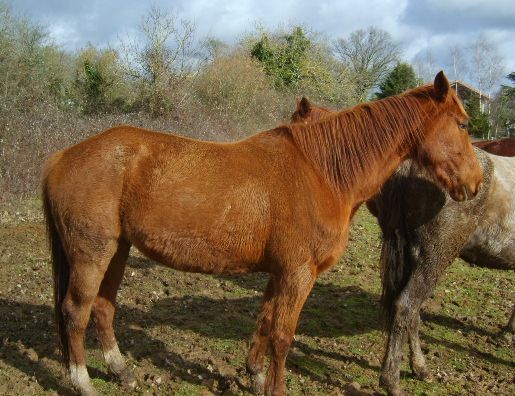 These horses were signed over to us and we had a potential new home! We had invested 10+ hours and costs, and now were left to tell the person who they had allowed to visit the same day that the visit had been in vain. Did the family not think it would be courteous to have postponed the visit or to be honest that despite having signed over the horses, they were still pursuing other options? Our follow up e-mails have been ignored and no donation has been offered or received to cover our expenses. and the list goes on……and I haven’t even mentioned spending time with our own families and animals. The petrol money could have gone towards farriers, medication, vets bills…. Finally, as we are all volunteers, I really would like to ask this family whether they would ever contemplate spending 10 hours and their own cash helping a complete stranger with a problem? So, what will we do differently next time? This isn’t the first time this has happened and unfortunately we now feel the need to protect ERF from individuals squandering our resources in this way in the future. We have to toughen our rules and from this point forward, if anyone wishes us to to rehome their animal then we will either need to have the owners card in our possession (i.e. have full legal ownership of the animal) or take a non-refundable deposit that will cover the above. We are saddened that the actions of a few have forced us into this situation. It’s seems these days that a person’s word or signature on a handover form is not enough…..
a persons word sadly means nothing these days. Unfortunately that’s the view we will now need to adopt. I’m sure we’re not the only people finding this and we’ll bounce back to our usual service soon, we’ve just had the wind taken out of our sails a bit. Disgusting, I hope they feel incredibly guilty and make an anonymous donation. This should not be allowed, the horses should not be returned to the owner unless the money & time is put back into the association to help other horses in need!! Surely they can’t just be handed back like that, can they!? Was this the horse I looked after recently with a bad leg?? Disgusting behavior, I hope they think on and at least have the decency to cover the costs that you incured and I also hope it doesn’t put off the rehomer and lose you a possible home for another horse in need.